The stalk drying out and hardening – this is a good indicator that they are ready. You can expect that the leaves will be turning yellow/brown and dying back as well. The skin hardening – once the skin has changed colour it will start to harden. If the stalks have already begun to dry out as above, then try pushing a thumbnail into the skin of the pumpkin/squash. If it makes a dent but doesn’t pierce the skin, then it is ripe. 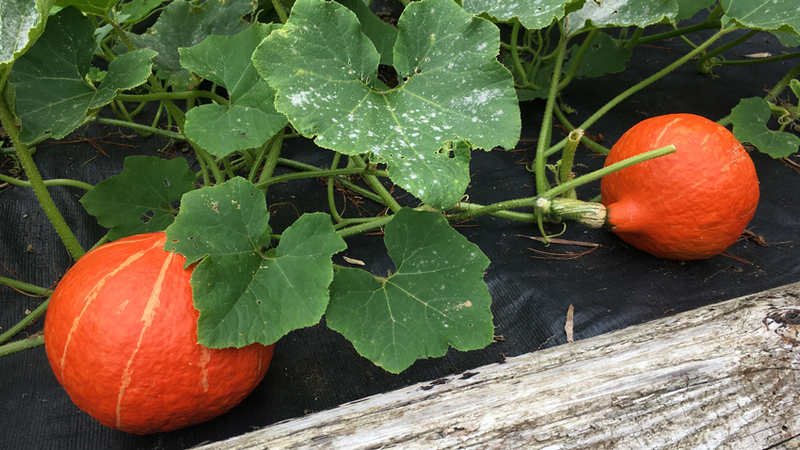 If the plants start to die off before they are fully ripe, or of the pumpkin/squash breaks away from its stalk, then don’t worry – you can leave the fruits in a warm, dry room in the house to continue ripening.